. إن الخدمات التي يقدمها Distinction Te Anau Hotel & Villas تضمن للنزلاء إقامة مريحة. هذه بعض الخدمات الموجودة في هذا الفندق: خدمة الغرف على مدار الساعة, صف السيارات, خدمة الغرف, مطعم, بار. بالإضافة لهذا,تتضمن كل غرف الضيوف مجموعة واسعة من وسائل الراحة . بعض الغرف توفر حتى تلفزيون بشاشة مسطحة, اتصال لاسلكي بالإنترنت, غرف لغير المدخنين, تدفئة, مكتب لإرضاء أكثر الضيوف تطلباً. صممت خدمات الاستجمام في الفندق والتي تتضمن ساونا, حمام سباحة خارجي, سبا, تدليك, حديقة لمساعدتك على الاسترخاء والراحة. يحظى فندق Distinction Te Anau Hotel & Villas بموقع ممتاز وخدمات يصعب منافستها. The location was perfect and staff are very obliging and friendly. The restaurant and accommodation facilities cater well for large groups or couples that would like a little more quietness and privacy. The villas are great and surrounded by lovely gardens. The pool and outdoor bbq area could do with a little updating and attention.. Arrived after a long drive with noone at the door, we had to bring and push the trolley to unload our luggage on our own to reception. Check in provided a complimentary upgrade to the same room grade as second night which was nice but room had heater problems eventually solved by bringing in a second heater. Staff mixed up our booking with breakfast and refused my hungry senior parents twice before clearing up the mistake and offering a hot drink to go with our buffet breakfast. Two different staff with mixed messages on cancellation policies as we had to shorten our trip causing unnecessary distress and waste of time. Pool facilities unavailable with no water. Lake view is actually facing the road first and foremost so be prepared for vehicle noises and lorries/ trucks at night. A nice receptionist assisted with alternative itinerary plans. Overall, a very distasteful stay and the worst amongst our hotels booked throughout our new zealand trip. Waste of money. We stayed in a 2 bedroom cottage here for 3 nights . Though the villas do not overlook the lake they are very comfortable , clean and cozy . The bedrooms are comfortable and the bathroom is nice and large . The location is very convenient and walking distance from the restaurants and the travel/ sightseeing agencies. Te Anau lakeside itself is very peaceful and scenic and one can go for long walks along the lake . I personally find Te Anau much nicer and less touristy than Queenstown . 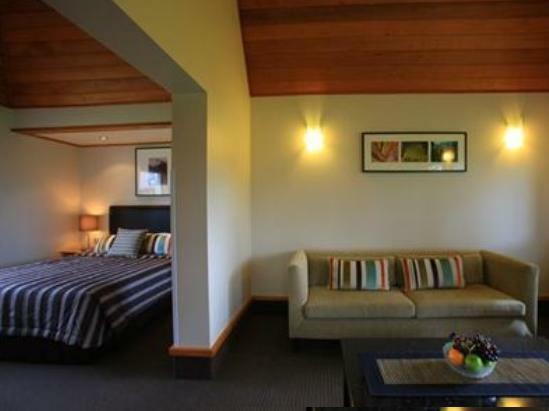 We had a memorable stay at Distinction Te Anau and villas ! Cannot fault anything at this hotel. 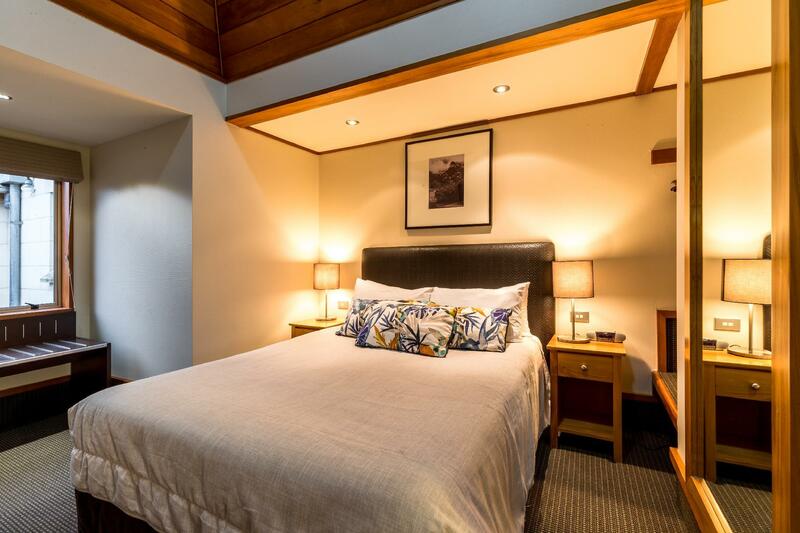 It is directly opposite the lake and walking distance to everything. Ordered breakfast in our room and was shocked at the amount of food , One continental breakfast would easily feed two people . Highly recommend this hotel for long or short stay. It's like stepping back into the 70's or 80's. Don't expect washing or cooking facilities even in the Villa. Just a small fridge and kettle. My wife and I itched terribly at this hotel it was the only place we stayed at on our trip where we itched so much.. 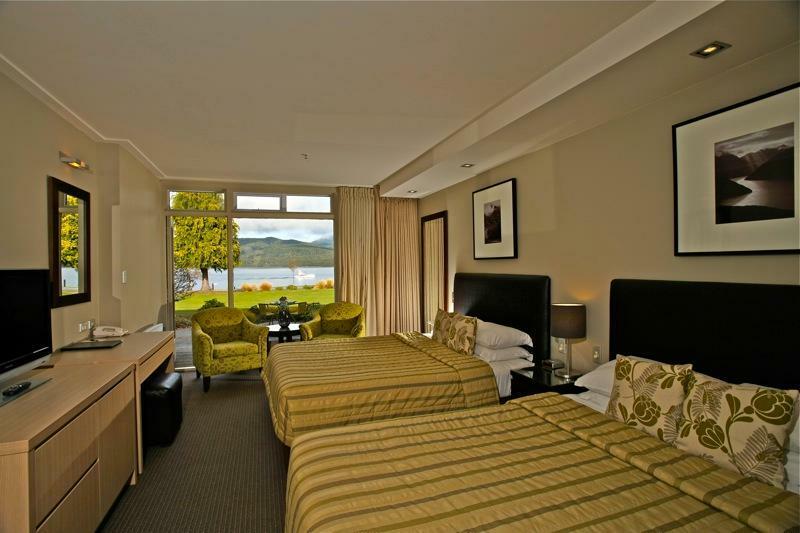 The room was spacious and facing the Lake Te Anau. Walking distance to CBD and Visitor Center. its a hotel but no room service in late evenings so you can compare this as a motel. We were satisfied. view was amazing from the room. quite big rooms. wifi was ok too. we will go back again. very near to the town centre. All in all a very comfortable 2 days stay for me at this hotel. The staffs is very attentive and friendly especially Ms Elaine. Appreciate her helpfulness and attentiveness. Close to the town centre and opposite the lake. We stayed in the lake view rooms which had gorgeous views of the lake. The fan in the rooms was very helpful because the summer heat made it rather stuffy.The staff were very friendly and helpful and we had a good breakfast the next morning. The hotel is very conveniently located near to the lake and town centre. We stayed 4 nights. The room had 2 large beds which was great. The hotel provides good facilities such as a laundromat, heated swimming pool. The lake facing rooms lead into the lawn which is great for kids. It offers very nice views of the lake. Its location is very ideal -just 2 or 3 mins walk from tourist attractions, restaurants and shopping. Very very pleased with our stay here. We visited in the off-season so were pleased to find our room had been upgraded upon check-in. The staff were so friendly and helpful, and genuinely so. The room was very clean and well appointed. There is also a free guest spa, which we took advantage off. Highly recommended. 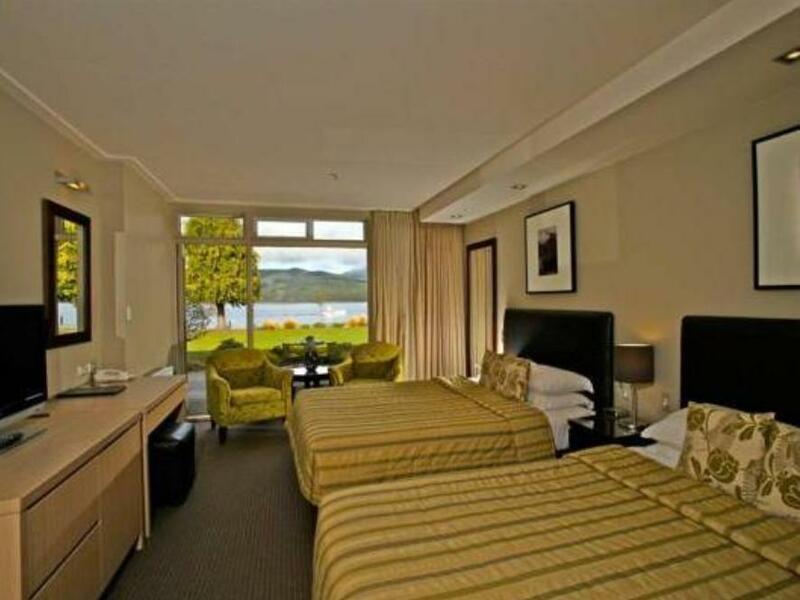 Just a stone throw away from the main town, the hotel is well located by the Te Anau Lake. Clean villa and friendly and helpful staffs! Also offers free spa and sauna! Excellent location, easily access to RealJourney boart and restaurants. Room is clean, quiet, and warm.